Willie Skeens was appointed Kentucky Department of Insurance Fraud Investigation director on Aug. 1. Skeens has 19 years of law enforcement experience. He began his law enforcement career with the Lancaster Police Department. Skeens also served the Garrard County Sheriff’s Office and Operation UNITE Narcotics Task Force. Skeens is a graduate of the Department of Criminal Justice Training Basic Training Class No. 293. He also received an Advanced Investigation certificate from the Kentucky Law Enforcement Council Career Development Program in 2016. Michael Murray was appointed Versailles Police chief on Sept. 1. Murray has more than 29 years of law enforcement experience. He began his law enforcement career with the Fayette County Sheriff’s Office. Murray previously served the Versailles Police Department where he retired as assistant chief in 2011. From there, Murray served as a U.S. Marshal Service Certified Court Security Officer for three years. He then returned to the Versailles Police Department, moving through the ranks to become chief. Murray is a graduate of the Department of Criminal Justice Training Basic Training Class No. 197. Michael Koenig was appointed Woodlawn Police chief on Oct. 8. Koenig has 21 years of law enforcement experience. He began his law enforcement career with the Jefferson County Police Department. Koenig also served the Louisville Metro Police Department and the Jeffersontown Police Department where he retired as a supervisor in 2017. Before being named chief of Woodlawn Park, he served the Attorney General’s Office and the Southern Baptist Theological Seminary. Koenig is pursuing a bachelor’s degree at the University of Louisville. He is a graduate of the Department of Criminal Justice Training Basic Training Class No. 260, Academy of Police Supervision Class No. 48 and Criminal Justice Executive Development Class No. 17. Koenig also received a Law Enforcement Advanced Investigation certificate from the Kentucky Law Enforcement Council Career Development Program. 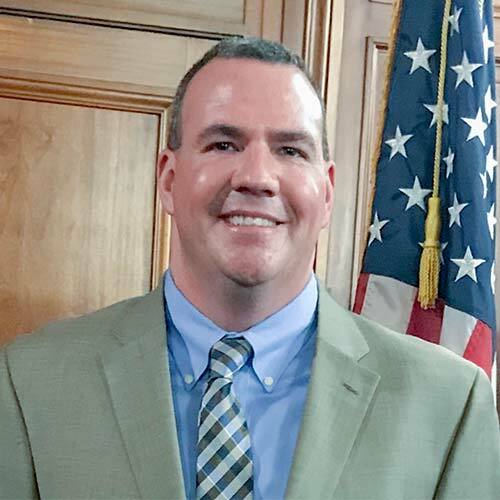 Bradley McCoy was appointed Nelson County Public Schools chief on July 1. McCoy has 9 years of law enforcement experience. He began his law enforcement career with the Kentucky Department of Fish and Wildlife Resources. McCoy also served the Kentucky Department of Corrections – Probation and Parole. He has a bachelor’s degree in education from Western Kentucky University and a master’s degree in instructional leadership from Northern Kentucky University. McCoy is a graduate of the Department of Criminal Justice Training Basic Training Class No. 407. Travis Davis was appointed Brodhead Police chief on July 20. Davis’ entire career has been with Brodhead. He has an associate’s degree in criminal justice from ITT where he maintained a 4.0. Davis is a graduate of the Department of Criminal Justice Training Basic Training Class No. 494.